With temperatures plummeting in recent days an NHS ‘Health Bus’ is aiming to help people feeling ‘under the weather’ this winter. The bus will be at Fish Hill in Boston town centre on Thursday offering mini check-ups and advice on winter wellbeing. The visit, part of a tour of the Midlands, is one of the ideas in the ‘Feeling under the weather?’ campaign to combat common conditions associated with the cold snap. 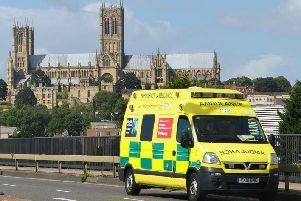 Gary James, accountable officer of Lincolnshire East Clinical Commissioning Group, said: “The NHS is here to help people in a range of ways – it’s not always about seeing your GP or going to A&E.